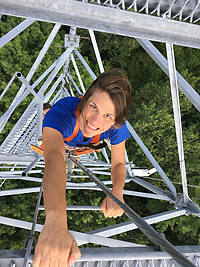 2019 Annual Meeting – Virginia Outdoor Writers Association, Inc.
Ellen Stuart-Haëntjens is a global change ecologist who researches forest and wetland carbon cycling resilience to extreme climatic events, pest outbreaks, and restoration projects. She earned her MS degree from Virginia Commonwealth University in 2014 and will defend her PhD dissertation this April. In addition to conducting research, Ellen teaches undergraduate ecology and research methods courses and writes popular media articles on climate science and on policy engagement (published via Massive Science, Salon, and the Ecological Society of America). Currently based in Richmond, Virginia, she will soon relocate to Germany to study the impacts of climate change and land management on ecosystems in the Alps. When she is not working, and sometimes when she is, she climbs boulders and cliffs, hikes, and spends time with her two young daughters. 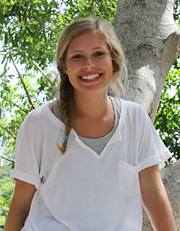 Lisa Haber is a second year PhD student at VCU where she studies forest ecological response to environmental disturbance. 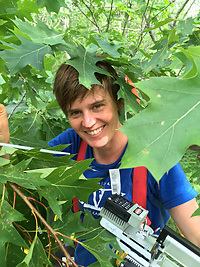 Her research interests focus on two areas: (1) connecting leaf-level physiological processes (such as photosynthesis, respiration, and leaf biochemistry) to the scale of entire tree crowns, and then to whole forest canopies; and (2) understanding the relationships between forest structural change, tree physiology, and productivity. Lisa’s research sites include a northern temperate forest in upper Michigan as well as a tidal freshwater forested wetland on the lower James River in Charles City County, VA. When she is not working on research activities, Lisa loves to garden, cook, read, ride her touring bicycle and spend time with her family. Lisa earned her BS in environmental sciences from Duke, and her MS from VCU. 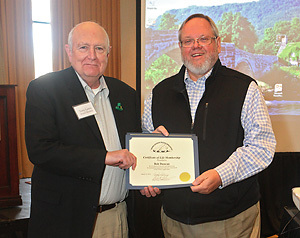 Ellen Kanzinger is not only the travel editor for Blue Ridge Outdoors Magazine, but is the only full-time staff reporter. She travels around the Mid-Atlantic and Southeast to cover stories and shoot photos and video so she comes to this panel discussion with experiences on both sides of the desk. 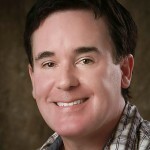 A graduate of Washington and Lee University, she also has video documentary experience in Boston and photojournalism experience in Wilmington, N.C.
William “Bill” Funk is a freelance journalist, documentarian, and environmental attorney. In more recent years he has sworn off most legal work in order to devote his energies to making a living as a full-time freelancer. He is eager to share the nuts and bolts of what he has learned. In other words, how one satisfies enough editors to actually make a living at the profession that we all love. Nancy Sorrells‘ writing and editing experience stretches back to high school – journalism class and two years of being on the school newspaper staff, starting way back in the last century. This continued at Bridgewater College, and afterward when she spent almost a decade on the desk as the assistant sports editor of the Staunton News Leader where she started the Outdoors Page. It has been non-stop since then. 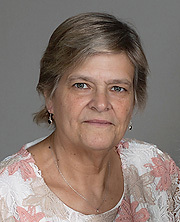 She continued as a freelance writer and photographer while also editing the Virginia Native Plant Society state newsletter and partnering in the history publishing company, Lot’s Wife Publishing. Both of those gigs go back to the mid-1990s. Her company has published approximately 70 books, several of which have won awards. Thank you to everyone who donated to our raffle. Your generosity is greatly appreciated. Thank you to our outstanding speakers: Ellen Stuart-Haentjens and Lisa Haber and our panelists Ellen Kanzinger, Bill Funk and Nancy Sorrells. And to our Contest Judges, the success of our competitions falls on your shoulders and we are most grateful for all the time and energy you give to ensuring we choose the most deserving winners. Thank you!